On June 11th, the New York Times posted an interview that they conducted with Kanye West. The actual interview took place over the course of three days at the Shangri-la Studio in Zuma Beach as he finished up his forthcoming 6th album, Yeezus. The claim is that he “opens up like never before.” And I agree. He shares himself more than he ever has before, thus showing us how completely insane and self-absorbed he really is. I won’t detail the entire interview here (you can go to the New York Times and read their excerpts there), but I will share the most … interesting comments and share my own take on what it all means. So, clearly Kanye has some deep unresolved issues regarding validation from his childhood. Say something bad about him, criticize him, or simply disagree with him and he’ll fight tooth and nail to prove you wrong. That explains a lot. Now we know why he always seems to be claiming that someone wants to silence him. Now we know why he is always professing his own greatness. Kanye measures himself by his own standards, and obviously those are the only standards that he deems to be worthy. I really appreciate the moments that I was able to win rap album of the year or whatever. But after a while, it’s like: “Wait a second; this isn’t fair. This is a setup.” I remember when both Gnarls Barkley and Justin [Timberlake] lost for Album of the Year, and I looked at Justin, and I was like: “Do you want me to go onstage for you? You know, do you want me to fight for what’s right. I am so credible and so influential and so relevant that I will change things. OOOOO-kay. How do I diagnose this? Delusions of grandeur? Napoleon complex? Simply batty? Either way, Kanye really needs to be brought down to Earth. He’s an agent of change now? If that is really true, I shudder to think about what we all have in store. I’m going to be cliché for a minute and say that great art comes from pain. But also I’d say a bigger statement than that is: Great art comes from great artists. There’s a bunch of people that are hurt that still couldn’t have made the album that was super-polarizing and redefined the sound of radio. Oh lawd. Now he has redefined the sound of radio. What’s next, he can see the future? I knew when I wrote the line “light-skinned friend look like Michael Jackson” [from the song “Slow Jamz”] I was going to be a big star. At the time, they used to have the Virgin music [stores], and I would go there and just go up the escalator and say to myself, “I’m soaking in these last moments of anonymity.” I knew I was going to make it this far; I knew that this was going to happen. The longer your ‘gevity is, the more confidence you build. The idea of Kanye and vanity are like, synonymous. Kanye is more self-aware than we ever thought. He knows, and fully admits, his vanity. META. Honestly, I’m not sure how the interviewer, Jon Caramanica, was able to get through all of this without making strange faces, guffawing, or outright laughing at Mr. West. The things he says are so over-the-top, but he means them so wholeheartedly, that he must have been astounded to hear the words coming out of his mouth. The problem here is that the Kanye West we see on TV interrupting Taylor Swift and wearing kilts is the real Kanye West. Usually celebrities have a persona, you know, an image that they project out into the world. That persona isn’t who they actually are away from the cameras and the lights. But Kanye is always Kanye. Never more and never less. That’s what is so unnerving. Yeah, respect my trendsetting abilities. Once that happens, everyone wins. The world wins; fresh kids win; creatives win; the company wins. I’ve been connected to the most culturally important albums of the past four years, the most influential artists of the past ten years. You have like, Steve Jobs, Walt Disney, Henry Ford, Howard Hughes, Nicolas Ghesquière, Anna Wintour, David Stern. I think that’s a responsibility that I have, to push possibilities, to show people: “This is the level that things could be at.” So when you get something that has the name Kanye West on it, it’s supposed to be pushing the furthest possibilities. I will be the leader of a company that ends up being worth billions of dollars, because I got the answers. I understand culture. I am the nucleus. 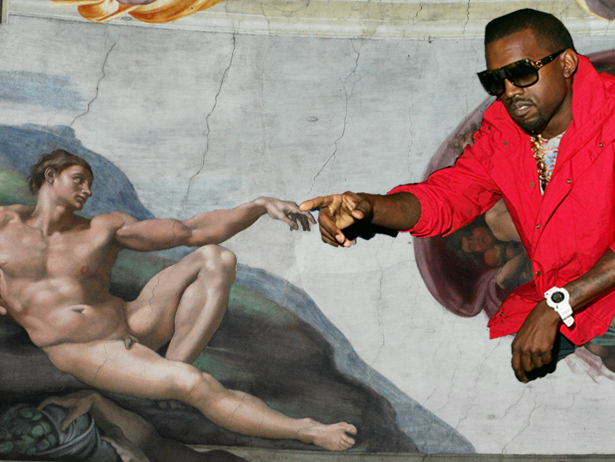 Thank you, Yeezus. Please lead us all down the path of righteousness. 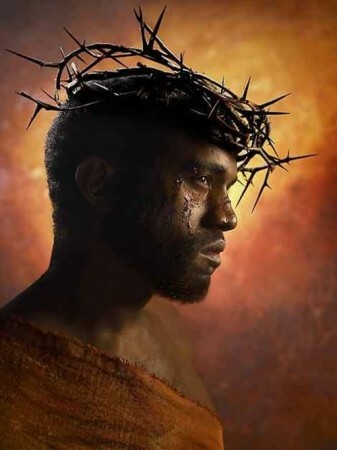 Sick to death of Kanye’s God complex? Sucker for his outlandish personality? Share your Kanye thoughts in the comments section below!